New Orleans: Miracle or Mirage? 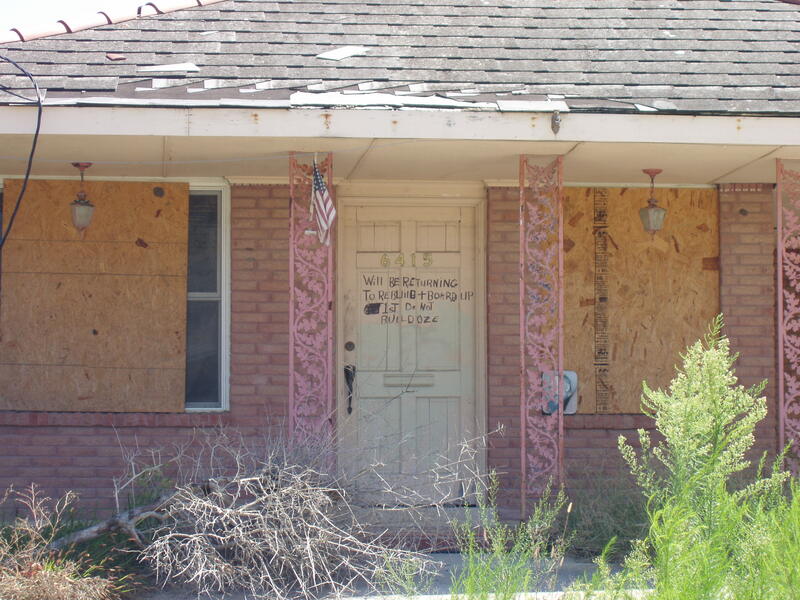 Editor’s note: This summer is the 10 year anniversary of Hurricane Katrina’s devastation of the City of New Orleans. But it also marks the start of an ambitious – many would say audacious – effort to break up New Orleans’ long-beleaguered public school system and replace it with a *market-based* system in which charter schools compete for customers, in this case students and parents, and for top test scores. Neighborhood schools are no more. In fact, some of the neighborhoods hardest hit by the hurricane have few schools at all. Instead, students spend hours crisscrossing the city on school buses to attend charter schools that virtually all embrace the same approach: long days, strict discipline and a heavy focus on test prep. 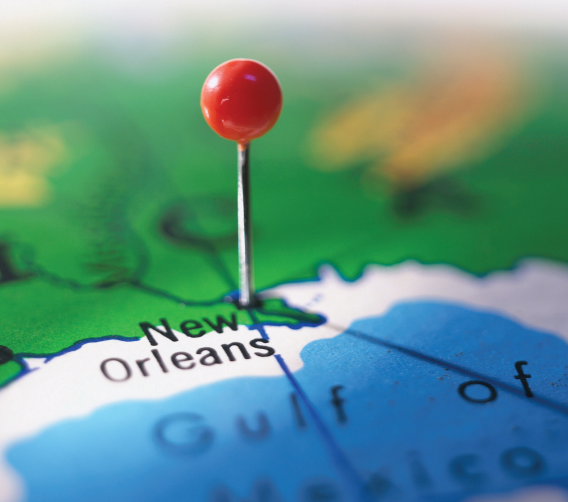 In the following interview, the kickoff to my series, New Orleans: Miracle or Mirage?, I talk to education scholar Kristen Buras about what education reform has meant for the city where she grew up. EduShyster: I want to start with a measure by which education reform in New Orleans has been a measurable success: it has helped to make the city richer and whiter, something that, it turns out, seems to have been part of the plan from the beginning. Kristen Buras: Even though the charter schools in New Orleans are still largely attended by working class African-American students, who runs those schools has shifted dramatically. Black veteran teachers and administrators had served in the system for decades. Now what do you see? White leadership has been recruited to the city to run charter schools. Inexperienced recruits have been brought in from outside of the city to give teaching a whack for a year or two before departing for more lucrative careers or advanced positions within the charter sector. There’s definitely been a whitening of the teaching force and the administrative structure.But it’s larger than that. There is a racial re-envisioning of New Orleans as a whole. Take, for example, a project like 504ward, started by Leslie Jacobs, a former local and state-level school board member, which is all about making young professionals who have come to New Orleans as part of the so-called talent pipeline feel comfortable so they remain in city. So it really is at every level a racial reconstruction of the city. EduShyster: After Hurricane Katrina, city planners also envisioned a New Orleans that was considerably smaller. And the plan to remake the city’s schools seems to have been designed with this in mind, meaning that the same parts of New Orleans that were devastated by the storm still have few if any schools, even though residents have returned. Home in Lower Ninth Ward. © 2008 Kristen Buras. Buras: Entire neighborhoods were destroyed, which wasn’t accidental in the sense that the people who were located in the most geographically vulnerable areas were poor and working-class African American residents. It was difficult for many people to return. Part of that difficulty had to do with the fact that there weren’t schools for them to return to in their neighborhoods. 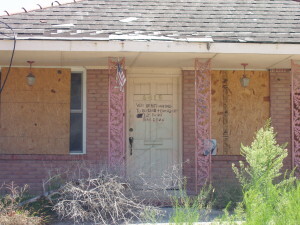 Ultimately, FEMA came out and assessed the destruction of schools in the various neighborhoods, but then rather than allocating money back to schools in largely Black neighborhoods, the money went into a general fund. It was the School Facility Master Planners, not community members, who determined where schools were rebuilt; the community engagement process around school rebuilding was a farce. Many of the schools were rebuilt outside of Black neighborhoods. If you understand the school as a centerpiece of a neighborhood, and neighborhoods are gutted of their local schools, it’s hard to see that as anything but a larger strategy to disinvest from these neighborhoods. If you look at a map of where the charter schools in New Orleans are now located, many of them are outside of where most students actually live. EduShyster: This is the sort of *rhetoric meets the road* detail that I think gets missed in the debate about New Orleans-style education reform. Kids now spend hours each day crisscrossing the city in school buses. Unless their charter school runs out of money and can’t afford school buses, which is another story. 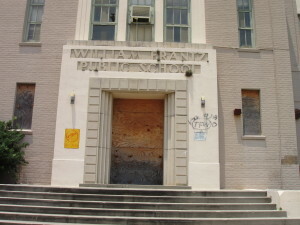 William Frantz Elementary School. ©2009 Kristen Buras. Buras: People outside of New Orleans hear *all charter system* and think that it’s glamorous, or they think that something new has to be better. But when you consider the day-to-day life of the families who have to navigate this system, it’s an entirely different story. It’s the absence of a school up the street, which means parents have children getting on buses at 5:30AM to get to schools across town. And heaven forbid your family has more than one child, because then you might be talking about siblings attending charter schools located all across the city. And it’s not just neighborhood schools that are gone. There was also the razing of public housing and the destruction of affordable housing around the city, not to mention the closure of the public hospital. The agenda around public schools also was an agenda for public housing and public health care. At the day-to-day level, this means the inability to access a nearby school; the struggle to rebuild your home or find affordable housing in the neighborhood where you once lived; and the challenge of figuring out how to access health care for yourself and your family when the public hospital is closed. The rhetoric of choice makes it sound very appealing, but for families that have to navigate these systems on a daily basis, it’s immensely stressful and there is little choice in the matter. EduShyster: By *little choice* I assume you’re referring to the fact that the overwhelming majority of the charter schools in New Orleans all follow the same No Excuses model: long days, strict discipline, a lot of test prep. Buras: On the one hand, reformers talk about charters being an innovative model and they compare them to a bureaucratic state model that existed prior. Yet, when you actually look at the charter schools in New Orleans, it’s hard to see where the innovation is. The vast majority of charter schools have adopted the same model, which is very disciplinary. Children are marched around school, they don’t have the leeway to speak and express ideas freely, they have to raise their hands in particular ways. These harsh disciplinary regimes, by the way, have resulted in civil rights complaints, some of them filed with authorities. It’s hard to see how that’s innovative. The irony here, of course, is that what’s been undermined by the No Excuses approach are the truly innovative programs that were developed by the city’s veteran teachers. Those programs and indigenous curricular models should have been the basis for rebuilding New Orleans public schools because that’s where the real promise was. 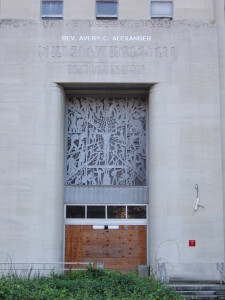 Charity Hospital main entrance. ©2008 Buras. EduShyster: You talked about what I call the *pipeline of excellence* that imports teachers and leaders into the city. But that kind of deficit thinking, that New Orleans is a city that must be fixed by outsiders, colors the whole reform perspective. Like an urban gardening program in the schools that seems to start from the perspective that New Orleans has no native food culture. Buras: Charter school operators, most of them white, don’t appear to see much of value in New Orleans’ African-American community. There is very little respect for the cultural integrity and knowledge of the community, which is why the reformers bring their own model and impose it. Their vision starts from this deficit perspective. There’s a great quote from a Black veteran educator about the difference between community members and visitors. She said, *Students do not question the commitment of veteran teachers. The teachers are sophisticated master teachers whose dedication goes beyond the classroom. The children can feel this. They understand the difference between a community member and a visitor; someone who has one foot out the door; someone who doesn’t try to understand them or may have another agenda entirely. * You can’t recruit cultural and historical understanding. That’s something that’s nurtured over time, inter-generationally, and it comes out of the lived experience of being part of a neighborhood. When that gets lost, not only is it tragic at a cultural level, it has implications for students’ learning. They are taught that where they come from is a liability rather than an asset. 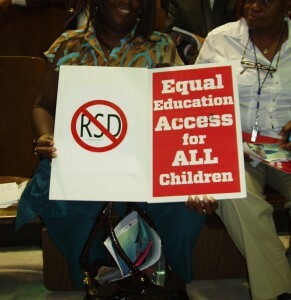 Local resident holds anti-RSD sign at 2010 public hearing. ©2010 Kristen Buras. Buras: The notion that parents don’t care who governs local public school just isn’t true. 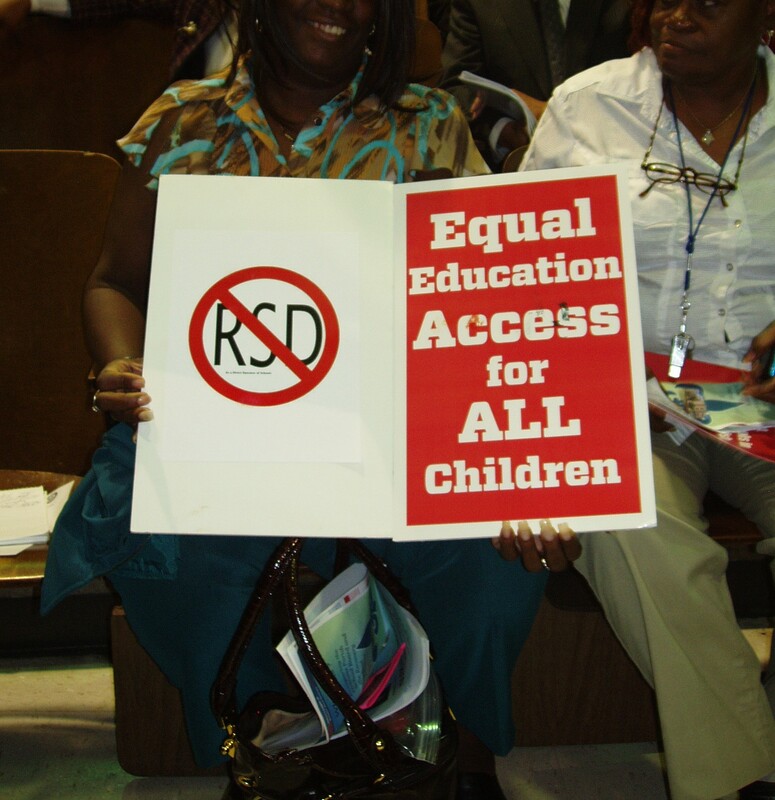 There was a public hearing with the state board in 2010 to debate the terms under which schools would be permitted to return back to the Orleans Parish School Board. Most of what you heard that night was people talking about being disenfranchised. One highly-respected community activist described what has happened as a simple question of democracy. *We want in Orleans Parish what every other parish in the state has and that’s the right to control our own schools. * It’s fundamentally a question of democracy. EduShyster: You’ve made some controversial statements about the motivations of people working in education reform in New Orleans. One reformer I talked to summarized your remarks as *NOLA educators hate kids but love paychecks. * Do you really believe that reform advocates are only in it for the cash? Buras: People who work in New Orleans charter schools have an array of motives. One of the most frequently articulated ones has to do with civil rights. 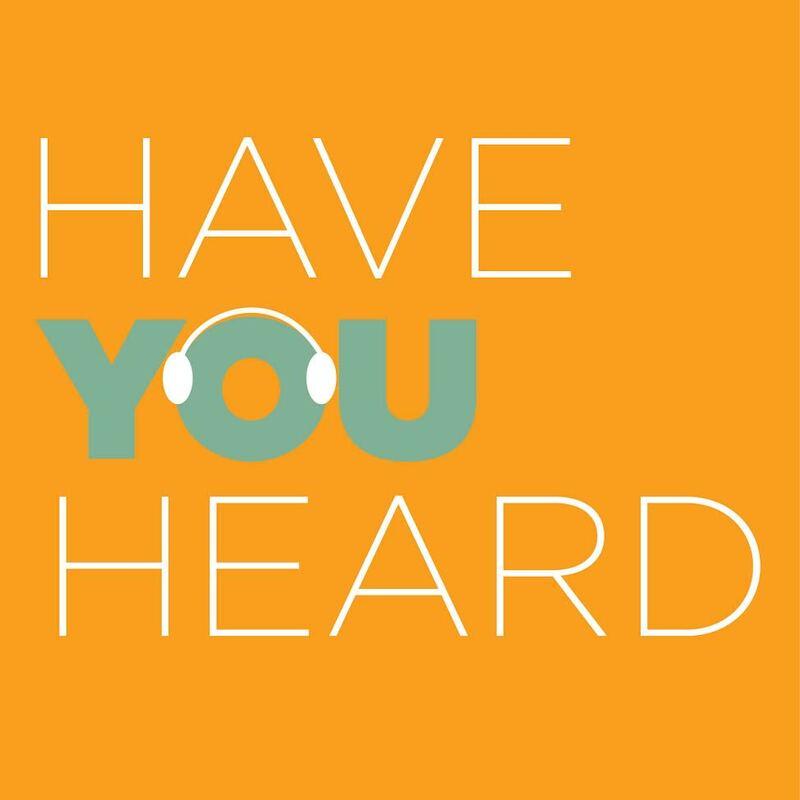 Neerav Kingsland, the former CEO of New Schools for New Orleans, made the claim that charter schools in New Orleans *may turn out to be the most significant national development in education since desegregation. * A lot of reformers present what they’re doing as a civil rights agenda, and some of them may genuinely believe that. But just because a person conveys their intent in one way, doesn’t mean that it unfolds that way on the ground. The reality is this: what has happened in New Orleans is the antithesis of a civil rights movement. In fact, charter school expansion has undermined many of the civil rights victories that African Americans struggled for, one of those being the right to have a vote and a say in governing local public schools. 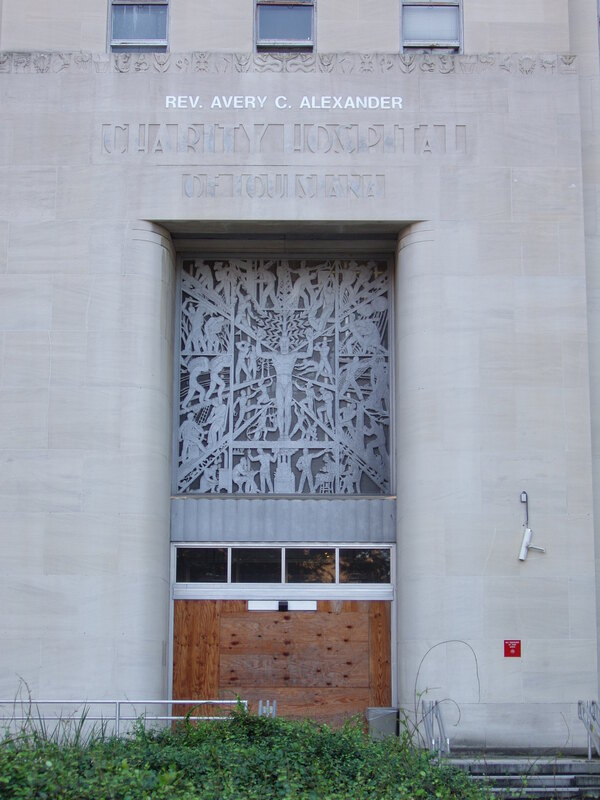 Removing public schools from the direction of locally-elected school boards to unelected charter boards and a state-level board in Baton Rouge has disenfranchised many African Americans in the city. I find that difficult to reconcile with the civil rights rhetoric of reformers. A lot of reformers present what they’re doing as a civil rights agenda, and some of them may genuinely believe that. But just because a person conveys their intent in one way, doesn’t mean that it unfolds that way on the ground. EduShyster: OK—I’m going to break this to you gently. You are not popular in education reform circles in New Orleans. Their complaints about you are too numerous for me to list here, so I’ll just mention one. You’re so negative. Isn’t there anything that you think is better about the new system? Buras: No, not really. There is very little evidence that things have improved. And by the way, that doesn’t make me *a defender of the status quo. 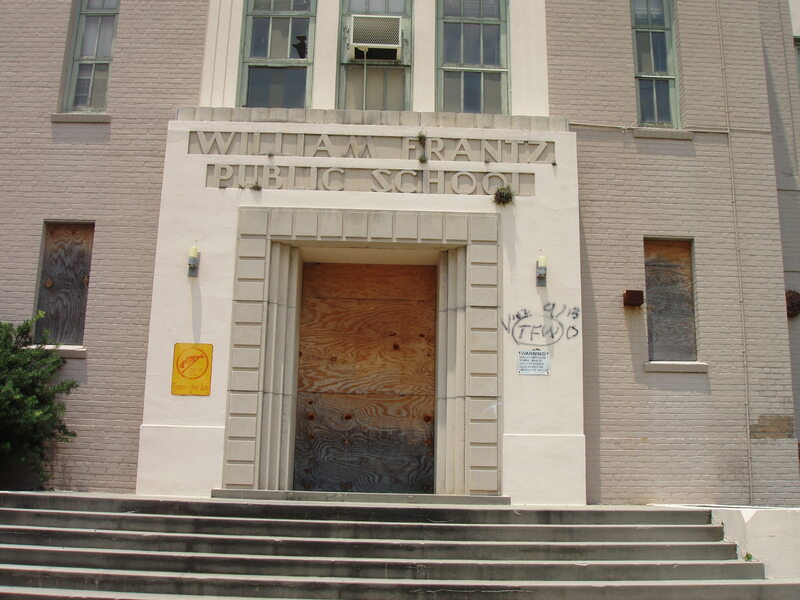 * I have never asserted that public schools in New Orleans were ideal prior to 2005. The difference is that I do not think that charter schools are a response to the root cause of the struggles endured in Black public schools. The starting point of the conversation around how to rebuild the schools in New Orleans and make them equitable has to begin with racism. The history of racism is what generated the historical challenges and struggles in New Orleans schools, and no one has offered any evidence that charter schools remediate this. New Schools for New Orleans in its *Guide for Cities,* which touts New Orleans as a national model, has only two short paragraphs on the history of the city’s schools before 2005, and their account begins in the late 1990s. There is no historical understanding of what generated the challenges in the first place. Just because you are critical of charter schools doesn’t mean you’re not visionary. It’s that the reformers don’t allow for any other visions to be articulated or viewed as legitimate. And there are alternative visions. We need to be looking to affected communities for the answers, not to people outside the community who stand to make money off of the backs of children. Kristen Buras is an associate professor in the Department of Education Policy Studies at George State University. She’s the author of Charter Schools, Race, and Urban Space: Where the Market Meets Grassroots Resistance. This interview is part of my series, New Orleans: Miracle or Mirage? Like my work? Your financial support will help me do more of it. Next Post → Save Hirsh! 1. It seems that no one has considered the longer-term impact of the No Excuses model when these students, I assume, will be attending college or some sort of postsecondary education. What happens when these kids go from a very regimented environment to a college campus, where their education is more self-directed? It seems a disservice to students who haven’t learned those skills. 2. I’m happy to be wrong but it seems to me that one topic not generally covered, or covered well, by teacher prep is cultural competency. 3. I’m tiring of the argument that charter education somehow is a civil right when charters totally ignore the civil rights of special ed and ELL students to an education. I know it’s been addressed here and elsewhere but still…. Excellent questions. Some of the most disturbing anecdotes I heard while in New Orleans had to do with the longer-term impact of the No Excuses model on kids. I heard about college students who have trouble socializing over meals because they’ve only ever had silent lunch; and who have a hard time challenging authority. I also heard from parents who talked about the racialized component of this model in much starker terms than I’ve heard before – that this approach to schooling teaches kids to respect white authority. Lots and lots to dig into here, including the issue of cultural competency among teachers… Thanks for reading! YES–self advocacy is an essential life skill that is hard to learn on your own, unless you’ve been encouraged to practice it. I also think the racial component goes beyond deference to white authority; it’s that students of color are perpetually viewed as being deficit from the POV of whites who fund and invest in charter schools. Regarding the issue of unqualified TFA’s replacing high-quality veteran teachers in New Orleans (and elsewhere, btw), one should get a load of the infamous TFA teacher Baye Cobb. The show was meant to be a pro-charter P.R. coup, but ultimately backfired on the New Orleans “reformers,” creating a public relations disaster for, among others, charter and school privatization guru Steve Barr. For context, the COMMENT’s section of the above article includes a reply from one of the teachers that the turnaround charter operator, FINS (Future Is Now Schools), effectively fired (i.e. refused to rehire) in favor of Ms. Cobb and her fellow TFA Corps Members. “I was one of those teachers who was fired from John McDonogh last year when FINS charter school came in. I am a 27-year veteran who worked in John McDonogh for 10 years in the 80’s & 90’s, and in an alternative school for 10 years pre Katrina. I am Nationally Board Certified, have a Master Degree in Education, and passed all teacher evaluations with some of the highest scores allowed. Indeed, the embedded videos of Ms. Cobb job performance show how painfully inadequate TFA’s training and teacher preparation is… or at least, can be . “… a five-week wonder like this doozy. “It would be good to make this woman into the poster child for TFA 2013 – here’s what the program is putting into urban classrooms to teach the ‘underprivileged’. A scab is a scab is a scab. The leader of the local public education fund, a high stakes testing privatization loving lot, taught for TFA for two years in LA before sliding into a vice principal role at a KIPP charter school and now we have him. Thanks Katrina! for all the wonderful citizens of NOLA.